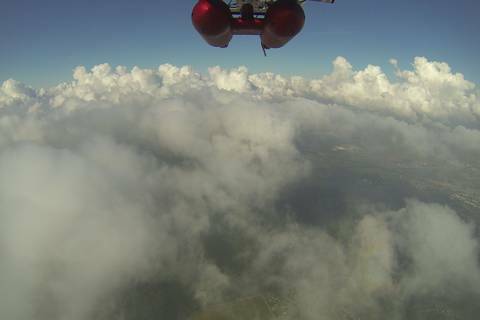 The Airborne Cloud Turbulence Observation System ACTOS is a sensor package designed for in-situ observations in the cloudy boundary layer. 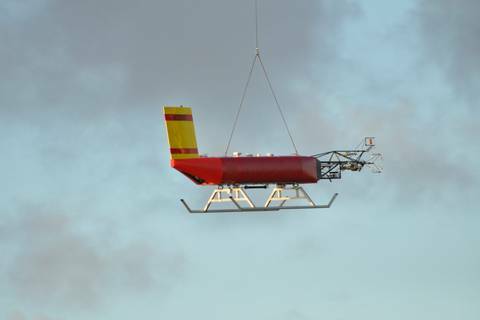 The 200 kg and 4m-long measurement payload is carried as an external cargo 140 m below a slow-flying helicopter. The ceiling is 3000 m and the endurance is typically 2 hours depending. The main benefit from a slow-flying helicopter – the true airspeed is about 20 m/s - is the high spatial measurement resolution down to decimeter scale and the operational flexibility due to its independency from a specific aircraft. In addition to the high resolution, data analysis benefits also from the close collocation of the different deployed sensors. 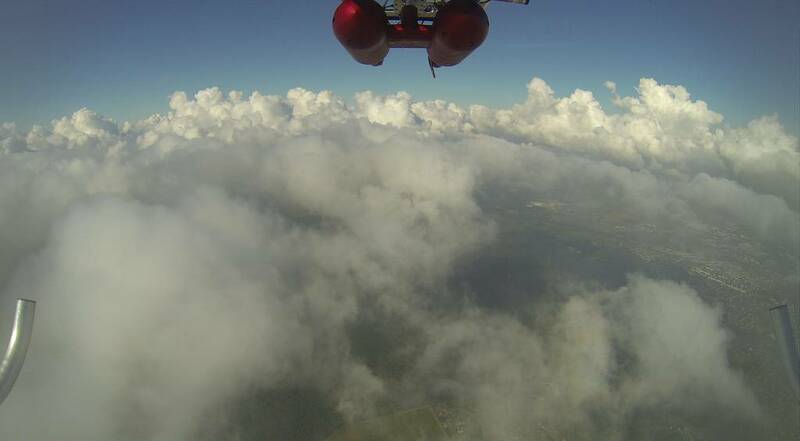 ACTOS is designed to measure dynamic, thermodynamic but also cloud and aerosol microphysical properties of warm shallow boundary layer clouds. 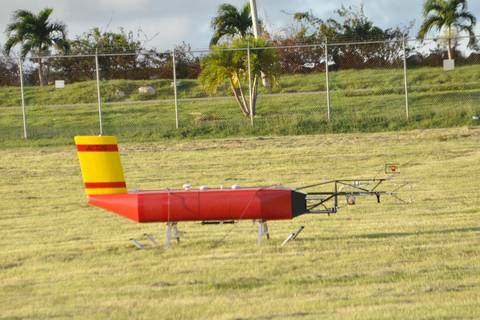 It operates autonomously with own power supply and real-time data acquisition; operation can be monitored in the helicopter cabin. The standard configuration allows measurements of the three-dimensional wind vector, static pressure, temperature, and humidity. Payload attitude, velocity, and position are measured by an accurate inertial navigation system aided by differential Global Positioning System (dGPS). The sensor configuration can be changed to match the goals of individual flight missions.The upper photo shows a picture of ACTOS with its current sensor configuration. A second smaller payload called SMART-HELIOS operated from the Leipzig Institute for Meteorology can be included in the tether line to simultaneously measure the reflected solar radiation of clouds. 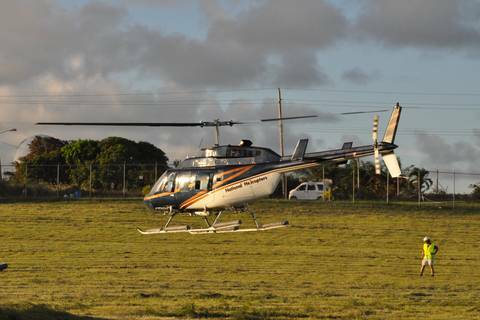 The complete setup of helicopter, ACTOS, and SMART-Helios is illustrated in the sketch below including the sampling strategy.